We prove our Quality and Integrity through full traceability of each step in the supply chain, including Manufacturing. Thank you for visiting the Stored Energy Concepts website! Imagine a small manufacturing company that can claim zero defects with millions of products delivered in the past 20 years. We have doubled in size recently and will continue to grow in the years to come. We are excited by our Core Values, methods and strategy that make our organization the best of the best. Please contact us for any information you might need. 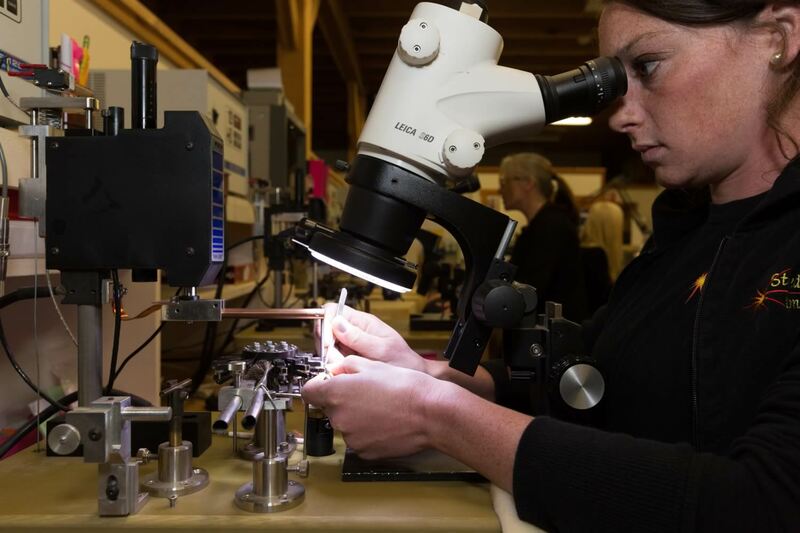 Bridgewire welding is a highly specialized process, performed under a microscope, resulting in an ultra-fine wire spanning a dielectric gap between two or more metal parts, to create an electric circuit. Stored Energy Concepts can offer their capabilities as a third party manufacturer. Our labs and know-how are available to support your needs for experiments, tests, development, and research. 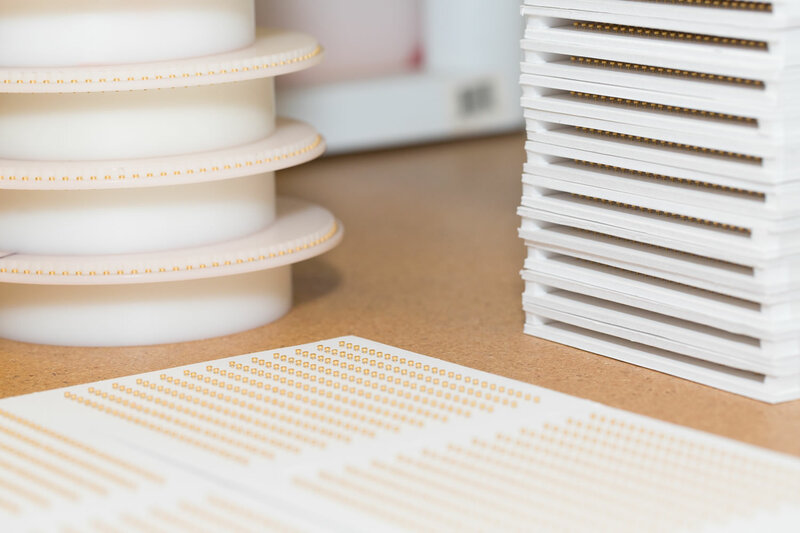 We are happy to offer our expertise, precision, and efficiency, from small production runs to very high volumes. Stored Energy Concepts is Hiring! Copyright © 2019 Stored Energy Concepts, Inc. · All rights reserved.